Some of the pitches have fantastic views over the surrounding hills and towards the historic Riber Castle, and beyond. 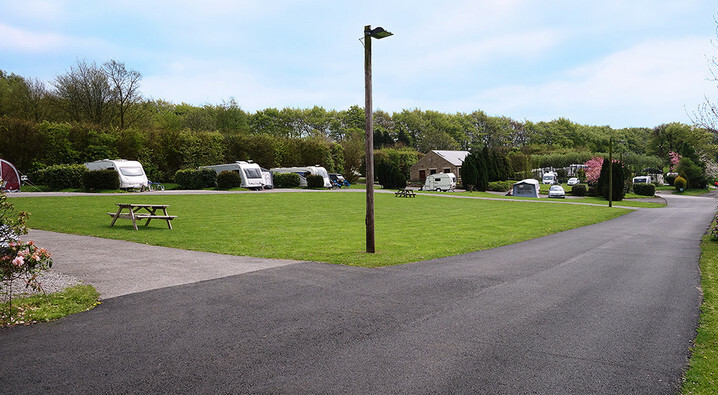 There are large grassed areas for your recreation and a woodland walk which provides ample room for nature and dog walks. The pitches are both generous in size and well separated with attractive borders. All pitches are hardstanding, so there is no need to worry about the weather. The children’s play area is situated well away (but within view of some) of the pitches. There are two facility blocks on site – both have toilets, free showers, vegetable preperation room, laundry facilities (including iron) and disabled facilities. The block at reception also has a childrens bathroom with small toilet, sink and bath. Calor Gas bottles are available for exchange on the park. There’s a small shop at reception which sells essentials and newspapers are available to order at no extra delivery charge. 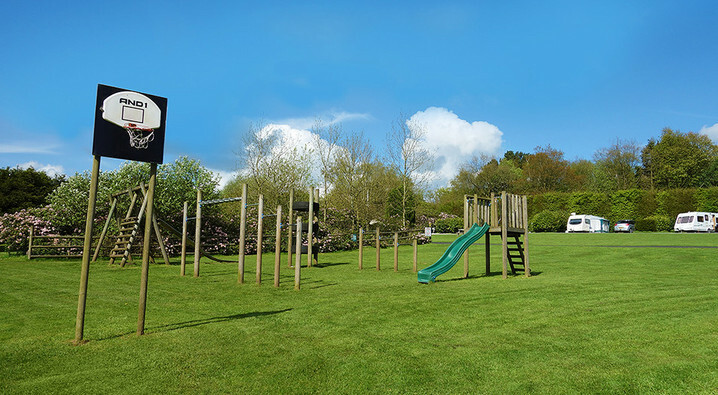 The outdoor children’s play area and on-site dog walking area are also great favourites with guests. Click here for a full list of facilities at Lickpenny. Lickpenny is about a 10 minute walk to the nearest bus stop which has a bus every hour to Matlock (Bus No: 150) where there’s buses and trains to a lot of popular places. 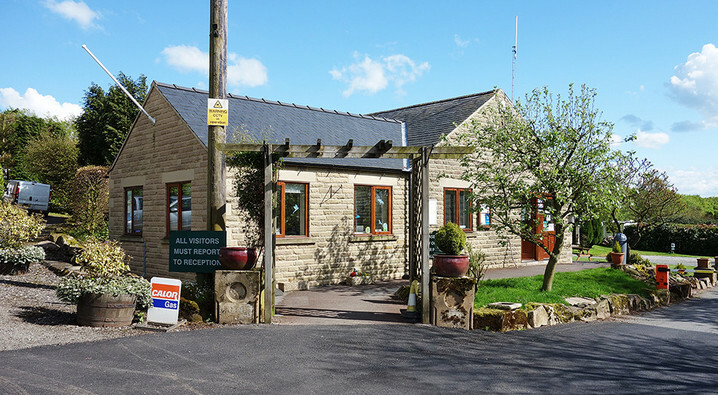 Just a few minutes walk away is Scotland Nurseries Garden Centre which has a farm shop, café and gift shop. For ideas of what to do during your stay visit out nearby page.